The Winter Sale is now on! 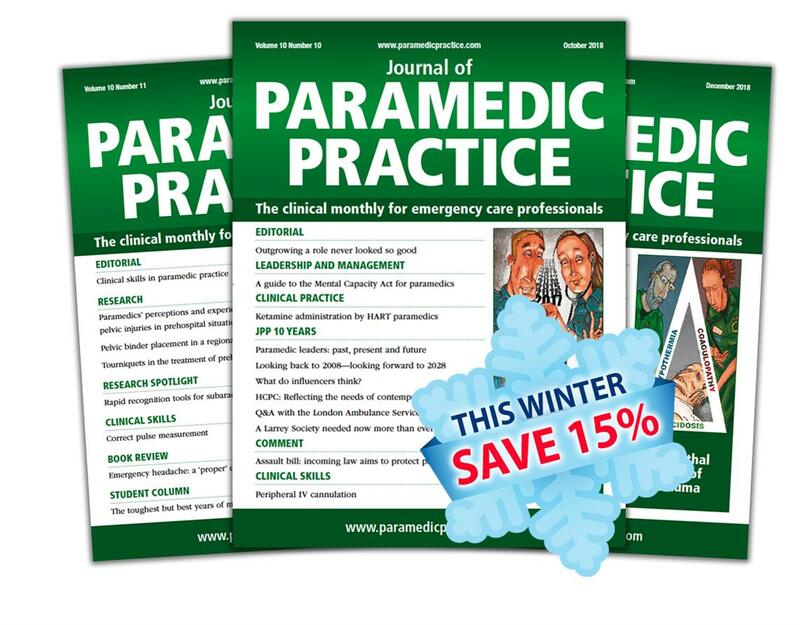 You can save up to £33 on your subscription - order now with code WINTER19. 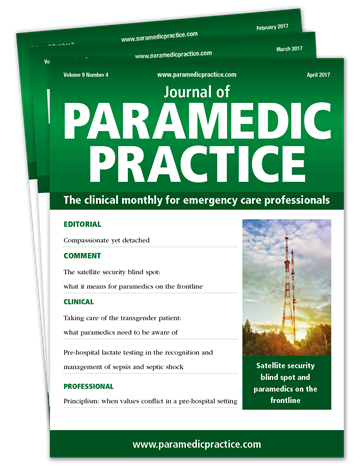 Journal of Paramedic Practice (JPP) is the peer-reviewed, practical journal dedicated to best practice in pre-hospital care. 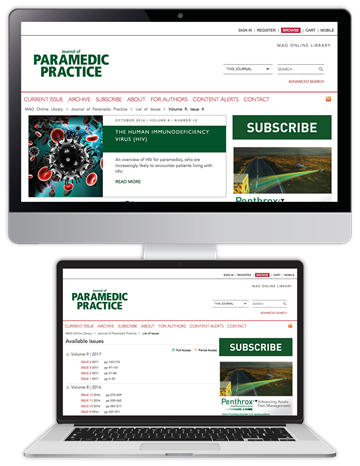 Every month, we publish up-to-date clinical information, evidence-based research and practical education, plus an online CPD programme - to provide you with everything you need on your continued professional journey. *Annual/quarterly subscriptions only. 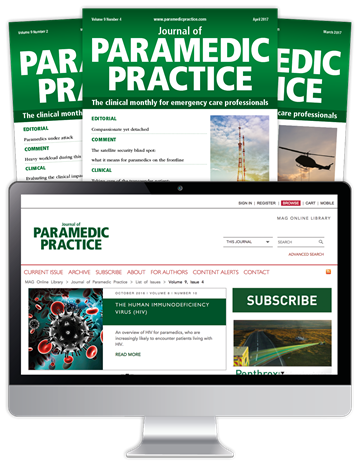 Online CPD not available with a Print Only subscription.